Windows 7: How reliable is your computer? Windows 7 collects all the crashes, driver issues and other problems. It also sends those information to Microsoft servers, if you are OK with it. You can check reliability of your computer using Reliability Monitor program. To to get this report, Click Windows button and type Reliability. 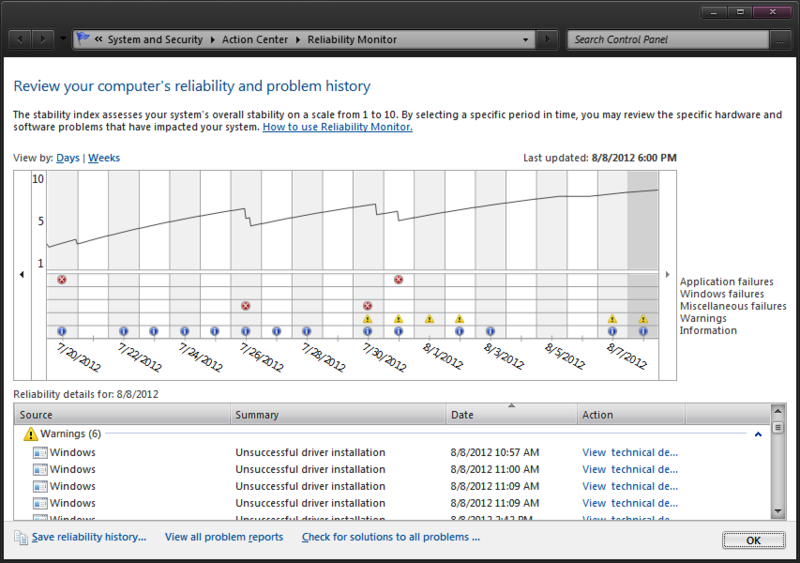 Select View Reliability History from the search results and check it out. What’s great about PNotes? It’s portable. You can format the text anyway you want. You can have Pictures. You can have bullet points, numbered lists. You can even password protect the notes. It has some pretty good skins at developer’s website. Here is how I use it. I store the portal Pnotes program at my DropBox cloud storage along with the notes I take and keep. It’s available all of my computers and mobile devices. Wherever I go my Notes follows me.